Donors who use the PayPal Giving Fund claim in a class action lawsuit that few of their donations reach the proper charity. Like millions of other people, you may well have made a donation to your favorite charity via PayPal. It turns out, though, that those donations don’t always go where you intended. Instead, the money may go to other charities selected by PayPal without the knowledge or consent of the donor, according to a class action suit filed against PayPal earlier this week. The suit is not alleging that the money is simply pocketed illegally, says Chris Dore, the attorney who filed the action. But the suit demands that the PayPal Giving Fund, the online platform’s charitable arm, give a clear accounting of who received the billions of dollars in donations it collects. 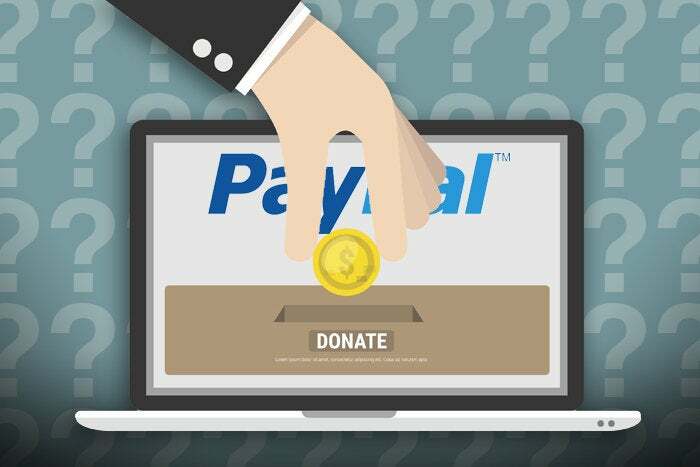 According to the suit, although as many as a million charities are listed on the PayPal Giving site many of those groups have not completed the registration process that would allow money donated via the giving site to reach them. Last year, PayPal says, the Giving platform raised more than $7 billion, including $971 million during the holiday season alone. PayPal promises its customers that 100 percent of their donations will go to whichever charity they choose within the PayPal giving platform. That made sense to Terry Kass, a generous Illinois resident, who last year used PayPal Giving to donate to 13 charities. The issue only came to light by coincidence, says Dore. Kass happened to know someone who worked for one of the charities and when she mentioned her donation, the friend said her group had not received it. After doing more digging, Kass discovered that 10 of the 13 charities had not received her donations. It turns out that when PayPal receives a donation to an unregistered charity, even if it is listed on its site, the platform holds the money and waits for it to be claimed, the suit alleges. If it isn’t claimed after six months, the money is then given to another charity, says Dore. “They could be good organizations that serves the public good, but they could be contrary to the values of the donor,” Dore told me. Giving directly to a charity via a PayPal link on its site would not be affected by this issue. PayPal recently became aware of this filing related to our holiday giving campaign and we are reviewing the contents. To be clear, PayPal Giving Fund has not redirected any of the charitable gifts donated during our holiday campaign. PayPal and PayPal Giving Fund have a long history of fostering significant social impact by connecting donors and charities. We work to ensure as many charities as possible can benefit from our global donation campaigns. When PayPal Giving Fund receives a donation to benefit a charity that hasn't enrolled, we contact the charity to notify them of the gift and help them enroll. PayPal Giving Fund does not hold any donations in interest bearing accounts, and therefore earns no interest on any charitable donations. We are disappointed by the lawsuit and we are fully prepared to defend ourselves vigorously in this matter.